Born and raised in India, Bala Thiagarajan has a passion for colors and patterns that are inspired by Indian culture. 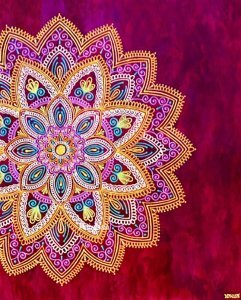 Her henna-inspired designs as Mandala paintings are an attempt to capture the ephemeral nature of these everyday art forms onto more enduring surfaces. 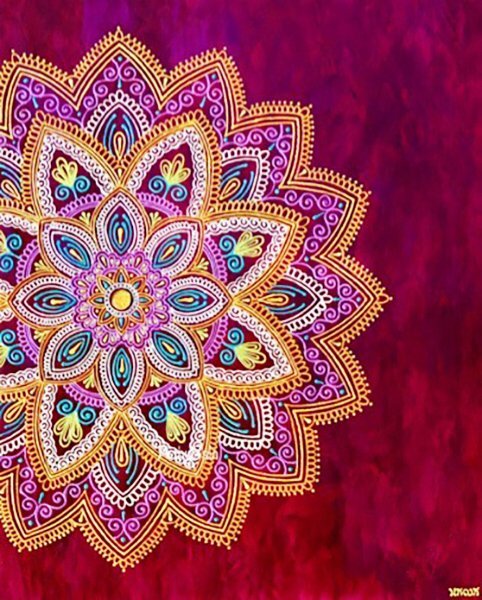 Mandalas are used for facilitating personal growth, healing, grounding and transformation. Thiagarajan’s paintings greet viewers with the familiarity of repetitive patterns, while creating an exciting opportunity to explore texture and geometry. Based in Wood Dale, Illinois, Thiagarajan exhibits her work throughout the Midwest and will be participating in the 2019 Ann Arbor South University Art Fair.